Shopping for Thomas the Tank Engine Vehicles? 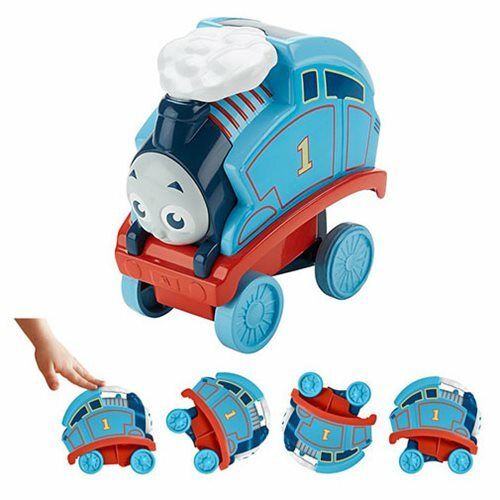 Get ready for fun with this Thomas and Friends My First Fun Flip Thomas Vehicle from Fisher-Price! Just press down on his roof to see him speed forward and flip! After Thomas performs his somersault, he lands right-side-up on his wheels. Just like that, he's ready to go again! All aboard for a fun-filled, flipping adventure with the No. 1 blue engine!Ages 18 months and up.